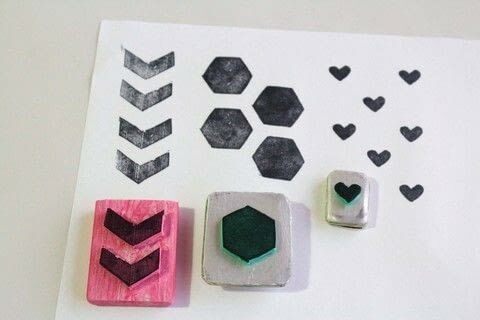 Learn how to make stamps in two different ways, one using rubber other using a recycled tetra pack package and leftover pieces of craft foam. If you are going to make rubber straps, a good way to make sure the stamp will be exactly as you want it, is freehand or print a piece of paper with the design you want to create and trace it onto the rubber. 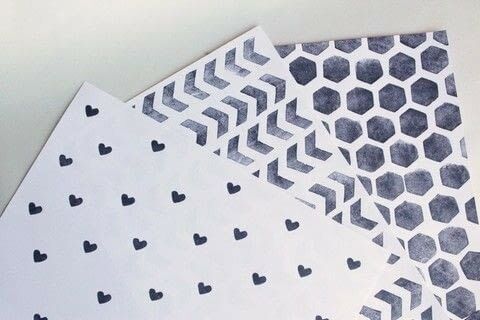 Then you just have to cut it following the lines. To make the craft foam stamps, I started by making the base of the stamp where you will be gluing the foam. I used a tetra pack package, cut it in squares and small rectangles and hot glued several layers together till I had the size I wanted. Finally, cut the craft foam with the shape you want, and glue it to the base.